A unit of measurement is a definite magnitude of a physical quantity, defined and adopted by convention or by law, that is used as a standard for measurement of the same physical quantity. For example, length of an item, weight, volume, piece, packet, etc. 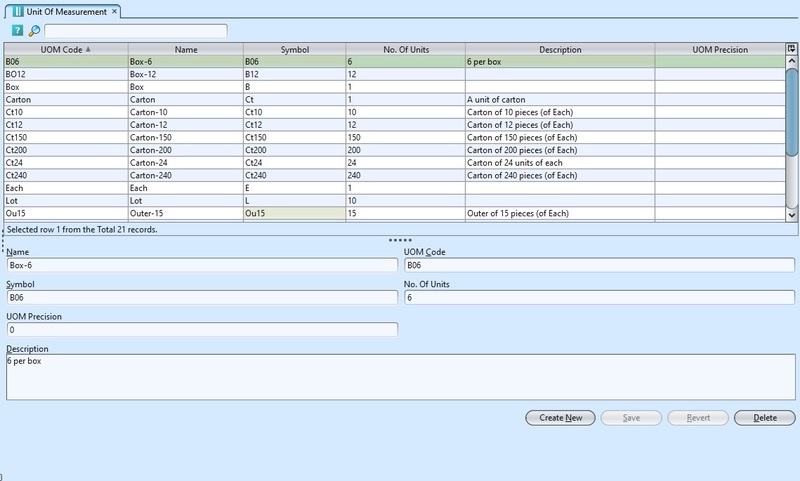 GOOMI’s Unit of Measurement (UOM) view allows user to define and manage products’ UOM. 1. On “UOM List” click on UOM to be updated, it will show the details at the bottom half of the screen for the selected UOM. 4. Click on “Revert” button at the bottom of screen. 1. On “UOM List” tab click on UOM to be deleted, it will show the details at the bottom half of the screen for the selected UOM. 3. Click on the unit of measurement to view, it will bring up the details at the bottom half of the screen.